There are certain foods that are almost Marxian in the sense that they may be considered as great equalizers. Gotong Lipa is one of those. 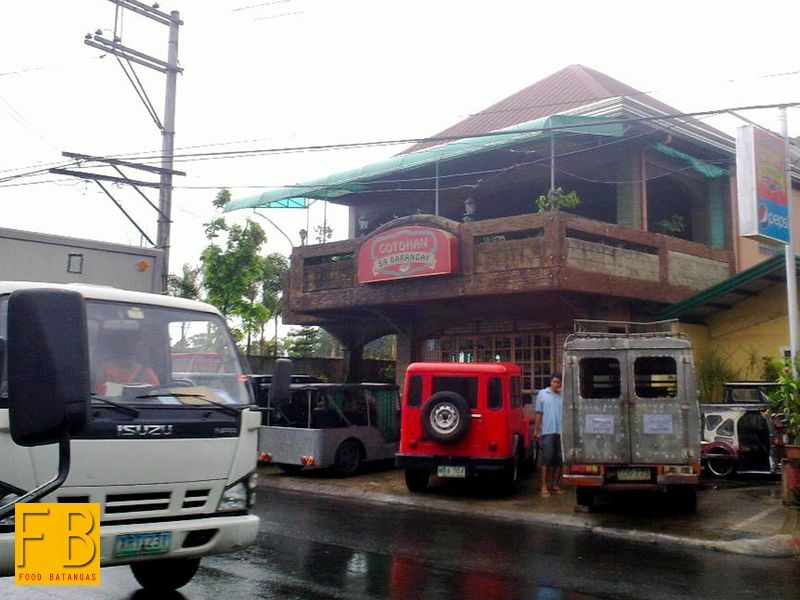 Take this restaurant in Antipolo del Norte – a suburb just south of Lipa City – which prospered from a rundown barong-barong to a two-storey edifice that continues to be patronized by the rich and the carefree; by the busy middleclass; and even those with nary a centavo to spare. Its speciality: this greasy soupy local favourite called the gotong Lipa; albeit, some say gotong Batangas. Now, goto is one of those words that can have one meaning in one place and another meaning in another place. 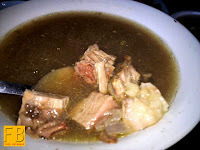 Growing up as I did in a household that was not native Batangueño, goto was a Chinese meal made up of porridge cooked with spices and small pieces of bovine innards. 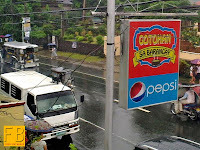 In the city of Lipa, I discovered soon enough though as I grew up, the only similarity of the goto that I grew up knowing and the variety that most people called such was in the bovine innards. In other words, the latter does not have porridge. It took me a while to actually summon the courage to actually try the Lipa version of goto. It will not win any awards in the category of aesthetics; for there is nothing pretty or appetizing in sliced innards floating in a colourless bowl of steaming stew. Before you actually try and develop a taste for it, I mean. Once you do, then the last thing that you will care about will be the aesthetics. 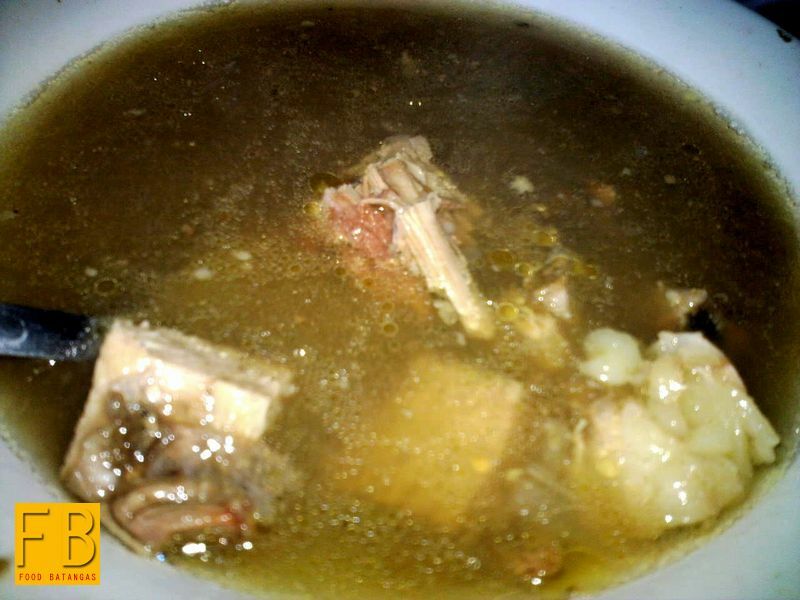 Gotong Lipa is just one of those dishes that makes people want to come back for more. 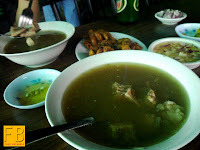 Conceptually, the goto is simple enough; and it does not take a gourmet’s tongue to ascertain that the soup is generously laced with onions and black pepper, probably seasoned with fish sauce. Getting the blend right, though, is not unlike hitting the jackpot. 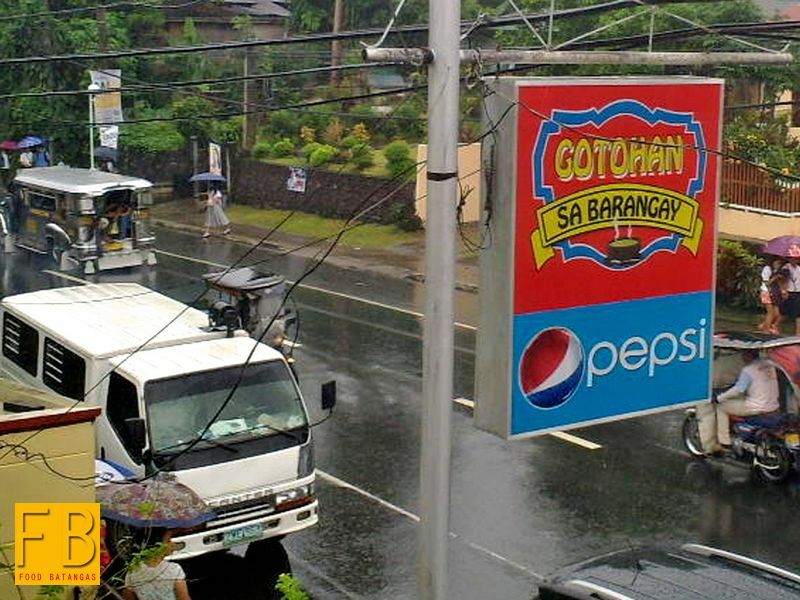 Particularly so in the city of Lipa, where going to the gotohan is as much a social event as going to its Batangueño relation, the lomihan. Office workers who are wont to try something different from the cafeteria fare are as likely to visit as a gang of teenagers sweaty from a basketball game. 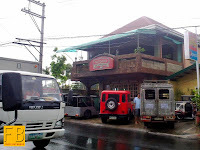 Not only these, for I see all sorts every time I go to the Gotohan sa Barangay, this restaurant in Antipolo del Norte that I was referring to earlier. Naturally, I order the goto; else what is the point? 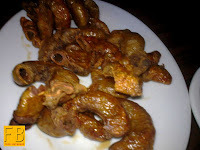 Those who are squeamish about eating innards may ask, instead, for the gotong laman. This is just chunks of beef floating in the soup instead of innards. The taste is the same; and it’s all really just a matter of personal preference. The restaurant has quite a selection of dishes to choose from; but habitually I have always just gone for the goto because everything else I can order somewhere else nearer. I do not mind asking for a plate of chicharong bituka – crackling made of innards – to go as a second viand with the goto. 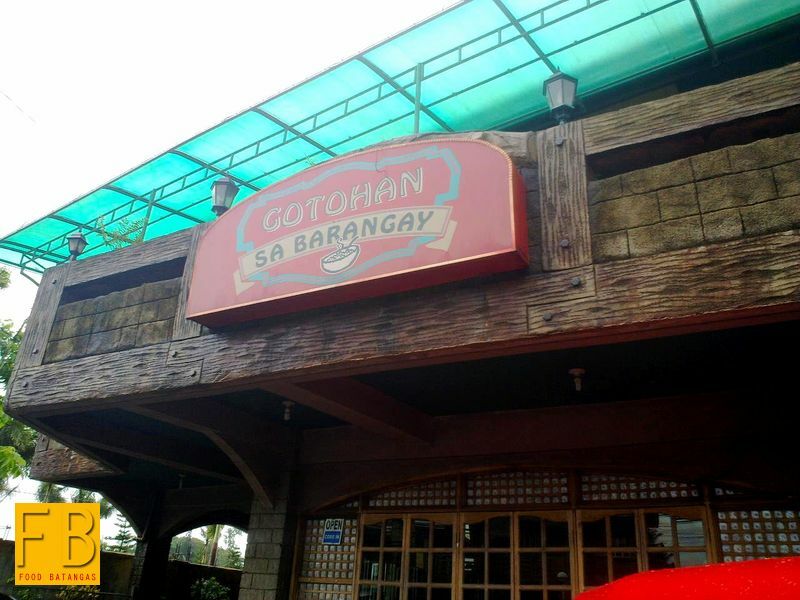 The thing that I like the most about eating at the Gotohan sa Barangay is that I never have to wait for long to get my orders. It’s definitely one of the places to go when one is starving! 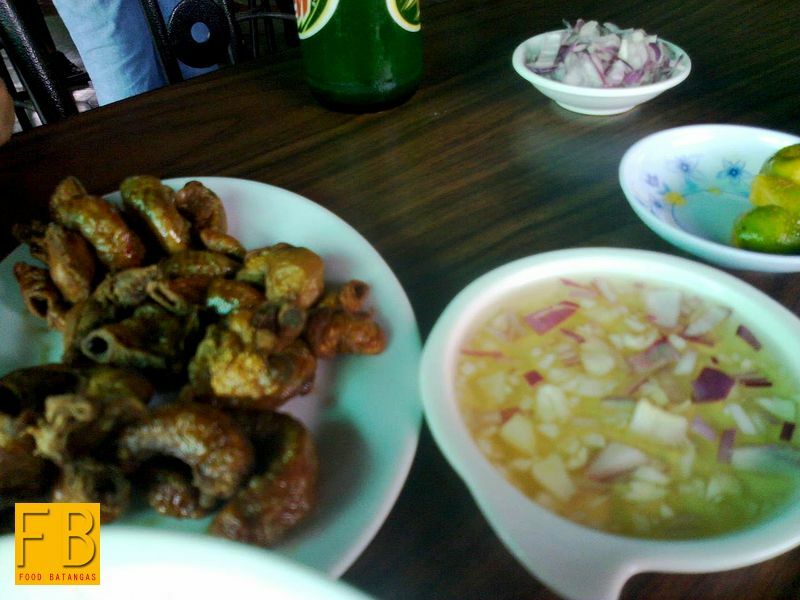 There is probably little to choose from between the goto there and that which they serve in other joints. That said, this gotohan has so much more space; and on the second floor, one can saunter over to the veranda after eating for a quick smoke or just to idly watch the people and vehicles passing by. Because a gotohan will never rip your arm and leg off as the price of a meal, you and a whole bunch of friends will always leave not only full in the belly but also safe in the knowledge that the wallet isn’t really a lot thinner than when you arrived.